May begins the Annual Commandery Installation Season. Make sure your Commandery has their Installation date and time listed on our website (kt-mi.org). Send the announcement and a copy of your invitation to our Communications Director SK Ryan Groat and he will see that it gets maximum distribution. Also, advise your Battalion Commander and Recorder of the same information so your Battalion’s Commanderies can plan to visit and lend their support as a new staff of Officer’s assume their new roles and begin to follow their recently laid plans for the upcoming Commandery year. If you serve on a Grand Commandery Committee, be sure and contact your Committee Chairman to find out what plans he has laid out to fulfill your committee’s function between now and the Grand Conclave in August. Similarly your Battalion should be organizing an Exhibition Drill Team and holding practices in preparation for the Annual Exhibition Drills to be held at the Grand Conclave. Drilling with your fellow Sir Knights is fun and very rewarding when you finally take to the Drill Floor at Grand Conclave and demonstrate what you have been learning and practicing for the Annual Exhibition Drills which have been a staple of our Grand Conclave, and others around the country, for as long as there have been Knights Templar here in Michigan. Talk it up and get it organized. If you need help, contact any member of our Drill Promotion Committee and they will be glad to assist. We’re looking for a record number of participating drill teams this year and your Commandery or Battalion should be one of them. Those of us who went to Washington, D.C. and Arlington for the Grand Encampment Easter Services have returned with an ever increasing sense of respect for those brave men and women who have made the ultimate sacrifice on behalf of their beloved country. The wreath was laid at the Tomb of the Unknown Soldier, and flowers and prayers were offered at the gravesites of those deceased veterans from Michigan who are buried at Arlington Cemetery. God rest their souls. Once again, remember our Goals for this Grand Commandery year, Membership Stabilization, effective and continuous Communication, and increased Participation and Comradely among the Sir Knights of Michigan. It can not be repeated often enough. 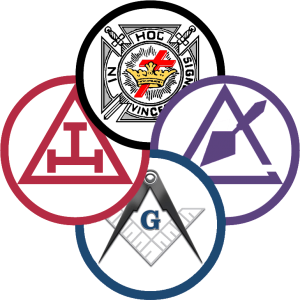 On behalf of the Grand Officers of Michigan, all the best to you and yours and we look forward to seeing you at a Commandery event soon.